If you run an HVAC company, chances are you are really busy running that company and taking care of the needs of your customers. But you are probably also concerned about your marketing situation. Do potential customers know about your services? What about the competition? How do you get the word out there—especially on the Internet? If any of these questions needle you at night, we have some very important Internet marketing tips for HVAC companies! Of all Internet marketing tips for HVAC companies, this is probably the most important one. In the pre-Internet days, people went to the phone book to find a list of local HVAC companies. Maybe they asked a friends, neighbors and family members. Then they picked up the phone and asked some questions. The basics of these interactions are the same in that a potential customer is looking for your service. But today, they do a Google, Bing or Yahoo search (increasingly from their phones) or do a shout-out post on Facebook to their friends asking for suggestions. If you don’t have a website for them to find when they ask Google, that puts you at a significant competitive disadvantage. Even worse: if you have a website and nobody finds it when they do a search, then your website, as lovely as it might be, is essentially invisible. This is where “search engine optimization” or SEO comes in. Your website designer should be able to design and provide text for your site, including links to social media, which will increase your website’s visibility when a potential customer searches for you. The caveat is that you really need an SEO expert to do this—just like HVAC work, SEO is not a DIY affair at all. Google, Yahoo, Bing & etc. are constantly changing their search algorithms and rules, so in order to stay visible, you need professional SEO designed right into your website and tweaked as needed. Another important thing to note is that the desktop computers your customers used to use to surf the web are giving way to mobile devices like phones and tablets. Old School websites that may have looked reasonably good on the big screen are hard-to-use and irritating for the growing majority of people who search for goods and services from their mobiles. Why is this so important as one of our Internet marketing tips for HVAC companies? Because: about 90% of mobile users who happen upon a non-mobile friendly website while searching for goods or services will, in milliseconds, abandon a hard-to-use website in order to find one that will work from their tiny screen—and that’s true even if they already like your company. So you need to be sure that your website looks good from any potential viewpoint: the desktop, the phone or the tablet. This is called responsive web design. It may not be the old phonebook anymore, but on the Internet, directories still matter, and they matter a lot to HVAC companies and similar contractors. In fact, the boom of mobile searching has increased the importance of making sure that your business listings are correct and consistent across all of the potential directories. Have you checked lately to see how your listing looks on CitySearch, Google Places, Yelp, Apple Maps, Google Maps, Yahoo Local, etc? Potential clients all use these from multiple search points to find HVAC services, so if your listing is incorrect, you will miss out on customers. It is also important, especially on places like Yelp, to monitor customer comments. Our reputation management and premium business listing services can help you with this. Your website should also be linked up with your active, updated Facebook, Twitter, LinkedIn or other social media account. If you don’t have one of these, you may be missing out on important word-of-mouth connections from clients that are happy with your work. Social media marketing is no substitute for having a permanent online storefront (your website), but it is a very important piece of a well-rounded Internet marketing strategy. Today, getting and keeping customers is about building relationships. And as excited as people have been about social media for the past few years, the numbers tell us that email marketing is still one of the most cost effective ways to reach out to and interact personally with customers. It is a great, paperless way to distribute coupons, deals, newsletters and keep your name out in front of people who may need HVAC services down the line. We have a lot of Internet marketing tips for HVAC companies, but the last one we will cover today is this: Companies that have a regularly updated blog or even a YouTube channel with video demos, helpful hints and fresh content keep old customers and potential new customers interested and provide useful education and generate interest and also help enhance your SEO success. It sure beats the boring old static “glorified business card” website that a lot of companies still have. 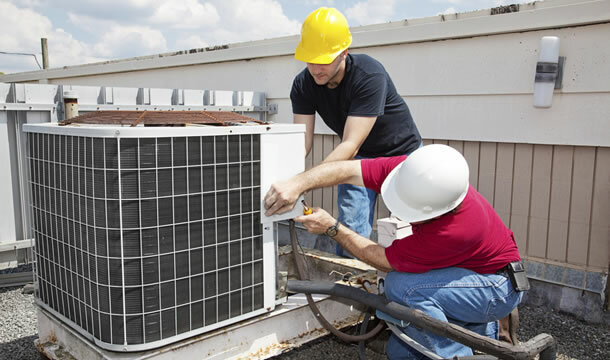 The key is to make it useful for your customers—provide information they can use, information that helps them with potential HVAC issues, helps them save money, etc. Customers love that, and they will love you and recommend you for providing those helps. If those Internet marketing tips for HVAC companies seem confusing and daunting to you, don’t worry. Our internet marketing team can help you put together a successful Internet marketing plan that will set you apart from the competition. Contact Affordable Web Design today for a free consultation: (703) 335-1819.